A RECIPIENT of a bicycle in Zimba under the Pay As You Go bicycle pilot funded by the UK Department for International Development (DFID) Zambia office. SANUDI Muchindu travels to his workplace three times a week with the help of a Buffalo bicycle he purchased two months ago in Lusaka. The bicycle was bought through a Pay As You Go bicycle pilot being implemented by the UK Department for International Development (DFID) Zambia office, in partnership with a local technology company called Onyx Connect, which merges regular products people use in everyday life that impact them socially and economically and bundles them with technology. Sanudi bought the bicycle on an incremental basis and uses it to ease his way through Lusaka’s heavy traffic to get to Rhodes Park School where he works as a carpenter. “The reason I bought the bicycle is because my car had to go to the garage for repairs and I needed to get to work on time while it was being fixed,” he shares. Sanudi praised the bike’s manufacturers for creating a strong bike that functions well. The bicycle, which comes at a complete cost of K2, 200, works with a GPS tracking system which tracks the movement of a person riding it until one pays for it in full. The DFID is funding the pilot, which began last month at a cost of GBP100, 000. Onyx Connect CEO Wyson Lungu has a background in telecommunications. After studying and living in America for over 10 years, he joined the mobile network Airtel in 2010 where he became one of the first pioneers of mobile money in Zambia. In addition, he was also instrumental in creating distribution channels for the Airtel network. 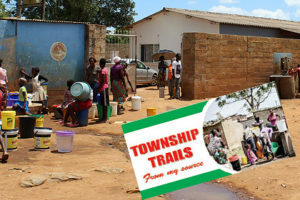 With this background, he always wanted to do something that concerns socio-economic empowerment for the locals because he felt strongly that there were not enough Zambians looking out for people in the peri-urban and rural areas which are difficult to access and where it is tough to run businesses. Now with the Pay As You Go bicycle pilot, Onyx Connect, through the support of the DFID, is providing bicycles equipped with GPS tracking systems to ease mobility for people in the lower income bracket. This came about following the company’s realisation that most people, especially those living in peri-urban and rural areas, are completely financially excluded. The company specifically sells Buffalo bicycles, one of the strongest bicycles in Africa which is made for African terrain and which are an initiative of an organisation called World Bicycle Relief. The bicycle has a five-year warranty due to its strength and the specially designed frame, carrier and stand of the Buffalo bicycle is said to provide the stability needed to support big loads and passengers over long distances in remote areas. “With it being a GPS-enabled bicycle, we are able to trace wherever it is in the world. Because we are giving this bicycle on a pay as you go basis, at any given time, we want to know where the bicycle is,” Mr Lungu shares. Smartphones are also being handed to clients, enabling them to have access to mobile money platforms. Most bicycle dealers in Zambia sell bicycles to customers minus any additional equipment. However, through the pilot, a helmet along with a solar light that does not require batteries is being supplied to clients to use at night. The bicycles are sold on a pay as you go basis to allow clients to still have disposable income for other budgetary needs. 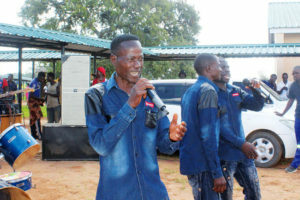 In Southern Province, Onyx Connect has partnered with a women’s cooperative called KAZIWA which stands for Kalomo Zimba Women’s Association and whose members practise small-scale farming and other related activities. The women also distribute milk produced by their cows to milk centres where it is picked up by Parmalat. “One of the downsides is they were only able to take the milk to the depot once a day,” explains Mr Lungu. However, with the aid of the bicycles provided through the pilot, the women are now able to carry the milk to the depot using their bicycles that can carry weights of up to 100 kilogrammes. This means the women will be able to deliver an increased supply of fresh milk and make more money as a result. Onyx Connect has so far delivered 133 bicycles to the women. The women were also given smartphones to enable them to access mobile money platforms as they conduct their income-generating activities. Once clients finish paying for the bicycles, they completely own them, including the mobile phones and helmets that are additionally supplied. The GPS tracking system is also switched off once complete repayment is done. Mr Lungu says the second phase of the pilot will involve replacing wheelbarrows used to ferry goods at markets with bicycles. “We want to extend the facility to Soweto market and introduce the bicycles because we can track them but we’ll only give them to the people that are actually registered with the market,” he says. When it is implemented, traders will have the opportunity to collect and deliver their goods throughout the day using bicycles. Depending on the response from the second phase, it may be adopted permanently. Head of economic growth at the UK (DFID) Zambia office, Steve Beel, says the Pay As You Go initiative was originally the department’s idea. It then sought a local company to partner with and execute the pilot. 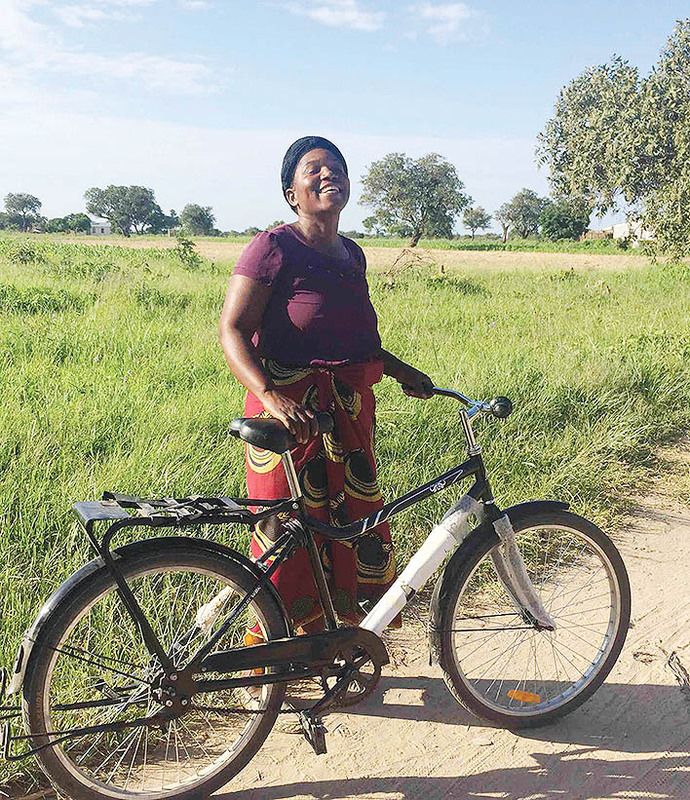 DFID believes that mobility is a big challenge for many people in Zambia, partly because of the size of the country and wanted to see if there was a way of making good quality bicycles more affordable and accessible to a much wider number of Zambians. “We were particularly interested in some technology that is used in the energy sector for Pay As You Go solar systems and also technology that is used for bike sharing programmes, so in China, North America and Europe, there are a lot of bike sharing programmes which use technology with bicycles,” Mr Beel explains. The idea was to see if they could put some of these concepts together for Zambians to be given the opportunity to access and buy bicycles by paying incrementally over time. “They are actually having a much wider impact than we expected so far,” shares Mr Beel. DFID’s initial focus for the pilot is Zambia’s rural areas because the organisation does a lot of work with people living in Zambia’s rural communities but, ultimately, the department’s hope is that the pilot’s success in rural areas can encourage its success in urban areas as well. 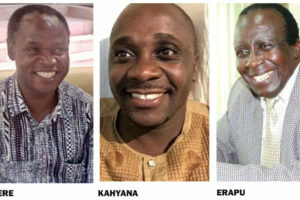 In the long term it hopes that the initiative will become commercially viable and self-sustaining and be a good model for both urban and rural areas.